We all know those sports instant replays that we like to watch and that athletes use to catch their mistakes and improve their performance… What if there was something similar that ecommerce companies could use to catch their website and shopping cart mistakes to reduce cart abandonment and get more people through the checkout finish line? Well, now there is—CartStack’s Abandoned Cart Session Replays. Session replays track your website visitors’ every mouse click, every hover, every swipe—basically every movement from the moment they land on your website until the moment they bounce away. These recordings give you incredible insight about “conversion leaks”—places on your website and in the checkout process where customer confusion, irritation or distraction leads to abandoned shopping carts. When you know where the leaks are, you can fix them. The Baymard Institute reckons 7 out of 10 shoppers leave their partially-filled ecommerce shopping carts behind. Digging into data from your session replays can help you tip the shopping cart conversion ratio back in your favor. This is a big problem, especially for a growing number of customers who expect to be able to shop and checkout from their mobile devices. Even though most ecommerce businesses got the memo a couple of years ago that more people were shopping from their phones than their desktops, there are still navigation problems, particularly on the mobile end, that have a number of potential customers swiping away from checkout for one reason or another. Sometimes navigating from one page to another isn’t as obvious, smooth, fast and easy is it could be, which can lead to customers getting confused and irritated. You can use the recordings to determine if several customers are having the same issue navigating through your website, from product landing pages to checkout. If you notice several customers hesitating, clicking or swiping away at certain places on your website, either before or during the checkout process, you can use that data to analyze your navigation and tighten it up so the process of getting through checkout is smoother, faster and easier for your customers. The session replay tool can also help you detect and remedy usability issues of all kinds. Probably the biggest usability problem that drives customers away from checkout is loading speed. Loading speeds longer than a mere 3 seconds can drive away up to 40 percent of your shoppers. This is particularly true for mobile device users! If you find pages through your session replays that seem to lag on phones, you can even test them via Google’s mobile friendliness tool to verify what your customer data tells you. 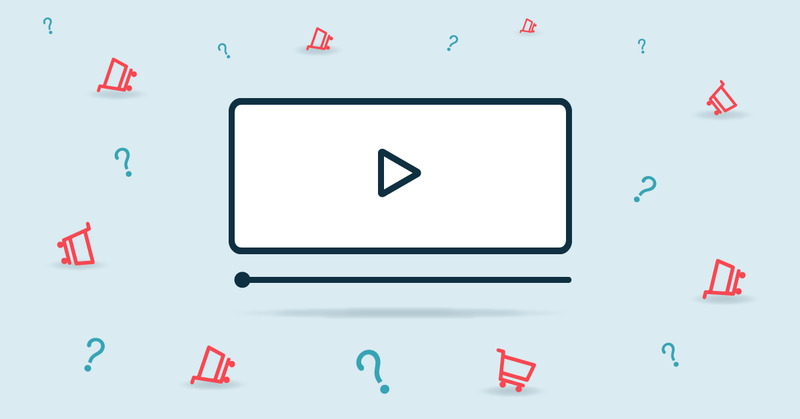 Another usability issue many ecommerce managers discover when they sift through their session replays is too many distractions at key points in the checkout funnel. We all live in a world swirling with constant distraction. Every graphic element, font and piece of text on every page needs to contribute to checkout, not distract from it. Try some usability testing of pages you discover are particularly problematic and see if you can streamline them towards checkout. Website maintenance to reduce technical errors is an absolute must for any ecommerce business. Sadly, customers are often the first to discover technical errors. Website crashes account for nearly a quarter of abandoned shopping carts. Regular website maintenance should be a foregone conclusion for any ecommerce website, and action to deal with crashes and improve customer experience should be swift and sincere. Security is on everybody’s mind. And with recent security breaches, customers may be even more reluctant to hand over their credit card numbers. Use your abandoned cart screen recordings to check for hesitation here. If your session replays indicate frequent customer hesitation in areas where they need to enter payment information, it’s time to re-evaluate. Go above and beyond to bolster your website security and make your security efforts very visible to your customers. This is one of the biggest problems customers cite for leaving a shopping cart behind. 23 percent—almost a quarter of shopping cart abandonments happen when a customer is surprised by the shipping costs and other fees shown suddenly at checkout. In fact, to be fair, some statistics show that shipping costs alone (surprising or not) cause about 86% of cart abandonments. Even the space between those numbers is unacceptable, and session replays can help here too. Pour over your abandoned cart session replays and focus on the shipping and fees information you’ve provided. Maybe you thought you had those clearly stated somewhere earlier. But it doesn’t matter what you think; it matters what your customers think! If you make this information clear only at checkout and notice you get a lot of abandonments there, consider placing this information much earlier in the process; even consider a shipping calculator option early in the process. Costs aren’t the only shipping issue that irritates customers either. Customers also frequently complain that ecommerce websites aren’t providing enough different shipping options to fit their needs. The point is, at checkout, customers hate surprises of almost any kind. So use your session replays to review customer visits and eliminate any and all shipping hang-ups you find in the checkout aisle. Digging into your session replays with CartStack can give you valuable insight into how your customers encounter your website so you can make it a more enjoyable, secure, easy-to-checkout process for them. Abandoned Cart Session Replays are included in every CartStack plan! Get started with a free 30 Day Trial today, and start plugging your conversion leaks!